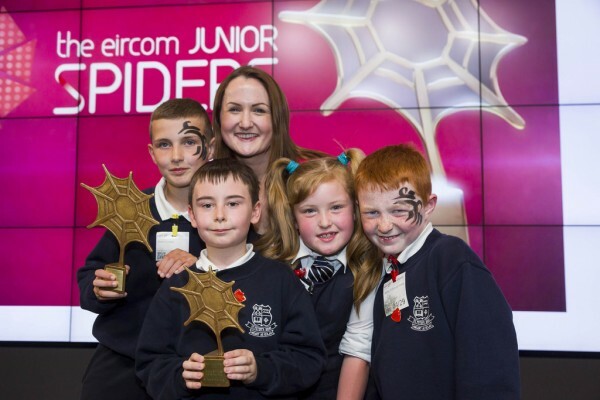 In April 2014 our school blog won an Eircom Junior Spider award for the Best Primary School Blog in the country. On top of that, it also won the much-feted Grand Prix award – an accolade presented to the overall best online project, website or blog created by and for primary school pupils. Our students represented our school at the awards ceremony at ‘The Foundry’ at Google’s offices in Dublin, and were subsequently interviewed on RTÉ and Today FM. We were also nominated for the awards in 2015 for the site we built to tell people about our Young Scientist project, ‘Pi in the Sky‘, where we built a home-made Hawk-Eye style system using only a cheap Raspberry Pi computer! The full site for that project is available here. Here’s a video showing some of our work for the 2015 project! We’re very excited to share the highlights of this year’s Mini-Scientist showcase in St Peter’s! 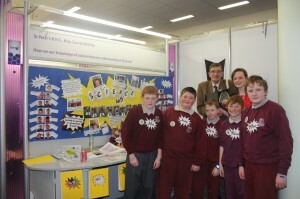 Last year was our first year to take part in the Intel Mini-Scientist programme and we really enjoyed it. You can find all of our blog posts related to the Mini-Scientist competition here. This year, we approached it slightly differently. In September, we formed a Mini Digital Youth Council (you can learn more about the senior version here) and we decided that as part of their work, they could take part in the Mini-Scientist programme and they were encouraged to include a focus on technology as part of their project. Sadbh, Taylor and Davina – how can we build a homemade dance mat using only materials available to us within the school? Christian, Aaron and Leon – how can we use Minecraft to improve the teaching and learning of history? Alana and Alannah focused on how to use technology to teach particular skills to younger classes – e.g. tying shoelaces. 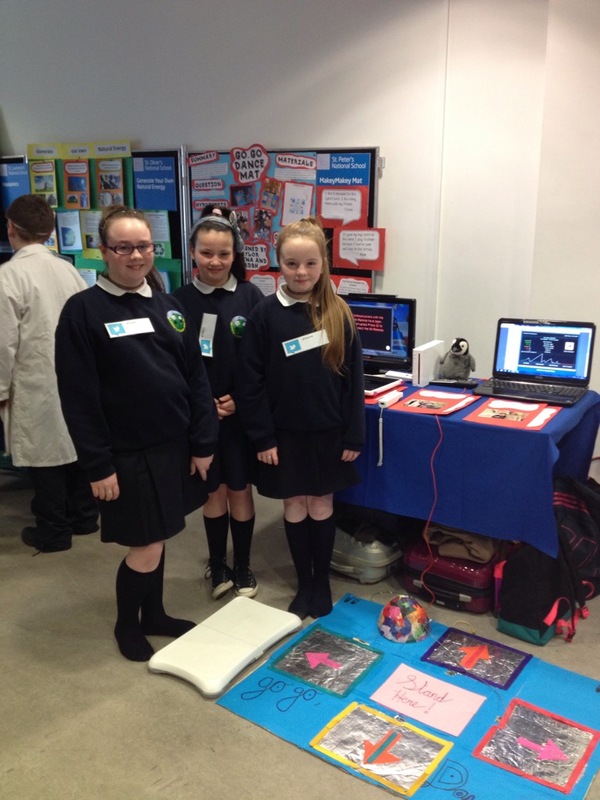 Sadbh, Taylor and Davina travelled to the Intel Ireland campus before Christmas and were thrilled to be chosen as one of the top projects and given the opportunity to go forward to the Grand Final. Thanks to all the teachers for their help with the project and to the students from Junior Infants, Senior Infants and 2nd class who helped us learn more about dance and coordination! And finally, a huge thanks to the coordinators in Intel Ireland – particularly Sarah, Michelle and Catherine! 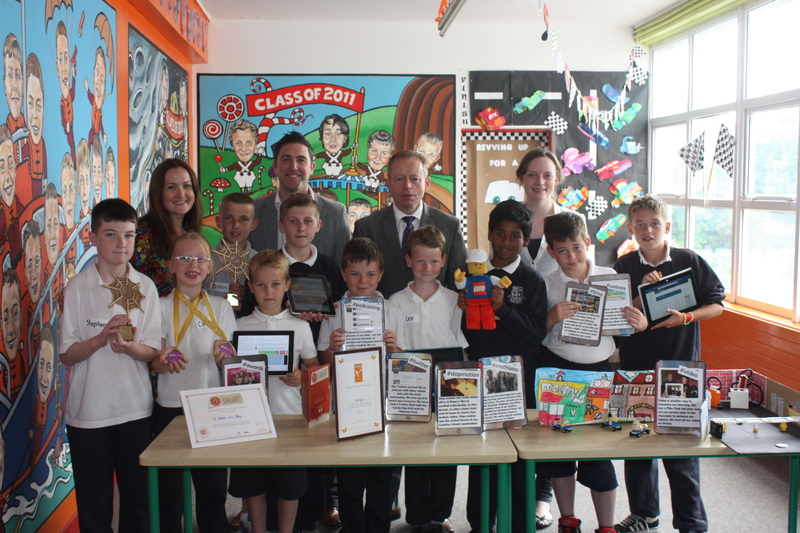 In 2015 we were delighted to take part in the #TechWeekIRL initiative where we made a particular effort to incorporate technology into all of our classes, so that both pupils and teachers could affirm just how beneficial technology can be in the classroom environment. The week was a very valuable experience and helped us all to realise that technology is an asset in the classroom and not a hindrance to be feared – while also ensuring that our pupils are not left behind in the technological literacy they need in the modern world. In June 2014 we had the great honour of welcoming the Minister of State in Department of Education to St. Peter’s. We had already met Minister Ciaran Cannon at the Excited Digital Learning Conference in Dublin Castle, and this meeting in our school was to celebrate the fact that we had been granted ‘Digital School of Distinction’ status! Showing off our awards and work from this school year! This award was the icing on the cake of a brilliant year of digital learning in our school. Minister Cannon met with students from every class and we got a chance to walk him through some of the many things we do that make digital learning a key priority in our school. Minister Cannon spoke to our school assembly and outlined the significance of our Digital Schools of Distinction Award. As the first school in Bray to achieve this award, and one of just a handful in Wicklow as a whole, it is a great honour. Minister Cannon reminded us of all of our achievements in 2014, including the two Eircom Junior Spider awards, the Creative Schools Award and having the honour of presenting at the Excited Digital Learning Conference in Dublin Castle. He also spoke of the impact of our use of social media and blogging as a positive educational tool. Minister Cannon tweeted lovely words of support to his many followers on Twitter after visiting our school. Read more about Minister Cannon’s visit in our blog post here. Gaelic Football: The senior team in the school was captained by Ben Gorman this year. They played in Divison 3 of the Wicklow League against some very big schools and performed brilliantly. 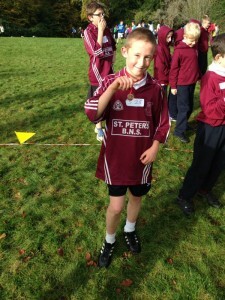 The boys and girls from 4th Class had blitz days in Loughlinstown Hall and both teams did very well. Bridget Cox led the girls team to an undefeated day and scored 12 goals herself in the process. Davy Berry, Ben Gorman, Robyn Brauner and Ava Tracey also represented the school in the Cumann na mBunscoil skills day and all achieved very high scores. Cross Country Running: The school has participated in two cross country days in Avondale Woods this year and it is fantastic that all children completed the distance over tough ground, not an easy feat. The highlights were a medal for Robyn Brauner in the 5th Class kilometre race and the 6th Class boys who ran their last race after achieving so much success over the years. Sports Hall Athletics: After a number of weeks training, the school brought 50 children to Shorline in Greystones where they competed in new events such as triple jump, javelin and vertical hop. All the children had a great time and really enjoyed the relays. Sports Promotion Unit Tournaments: This year the school took part in a Multi-Sport after school club where they played a sport for eight weeks, and then played against other schools in Bray who received the same coaching. We have taken part in Tag Rugby, Handball, Hurling, Rounders and Athletics. The Tag Rugby day was historic for the school as we fielded our first ever all-girl team in the school. The children love the sessions with Conor, Ruth and Mary and the school enjoys a great relationship with the SPU. Soccer: Every Monday children from 1st to 6th Class take part in after school football club. This club is particularly well attended with between 40 to 48 children there each week. The aim is to get to 50 before the year is over. The Infants also play football indoors every Tuesday lunchtime. Friday Fit Club: Every Friday at 11:15, pupils take part in Friday Fit Club which teaches them speed, aqility, quickness, co-ordination and also how to fall safely using mats. Baton Twirling: Ms. Fry ran a very successful baton twirling club earlier in the year where the pupils learned how to twirl and came up with their own routines. This has become the “IN” sport in St. Peter’s this year! We were delighted to find out that we were shortlisted in the Education category in the Blog Awards Ireland for 2014. 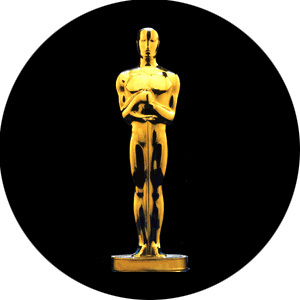 Read more about the competition, and our fellow nominees, here. Discover Primary Science and Maths (DPSM) is the national programme to foster interest in science, technology engineering and maths among children in primary schools. As part of the programme we carry out a range of science and maths activities in the classroom and undertake additional explorative activities and projects. We have achieved this award every year since we joined the programme back in 2006. 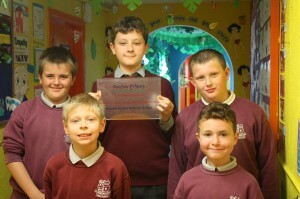 We now have 7 award plaques proudly displayed in our school. As part of the BT Young Scientist Exhibition we travel to the RDS Primary Science Fair to show our projects to our peers. This exhibition provides a public forum for us to showcase our Science, Technology, Engineering and Mathematics projects, receive feedback from experts in the field and learn from viewing other projects at the exhibition. It’s a great way to get pupils inspired about the vital subjects of science and technology and a brilliant way to showcase our school’s scientific pedigree. Intel Mini Scientists competition – have a look at the video below! Electric Paint cards at work in St. Peter’s! 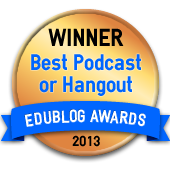 Our blog (specifically our work on our podcasts) won an international EduBlogs Award in December 2013. The Edublog Awards reward people who contribute to life online with their education posts, tweets and podcasts. We podcast on our blog daily. Have a listen to our students saying thank you for voting for us here! Our blog was voted the Scoilnet Star Site Award for December 2013! 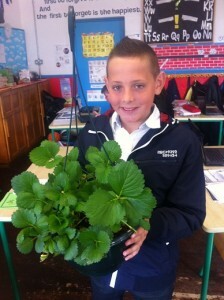 We are one of the first schools in Ireland to take part in the Roots of Empathy Programme. Roots of Empathy is an evidence-based classroom program that has shown significant effect in reducing levels of aggression among school children while raising social/emotional competence and increasing empathy. At the heart of the program are a neighbourhood infant and parent who visit the classroom every three weeks over the school year. A trained Roots of Empathy Instructor coaches students to observe the baby’s development and to label the baby’s feelings. In this experiential learning, the baby is the “Teacher” and a lever, which the instructor uses to help children identify and reflect on their own feelings and the feelings of others. This “emotional literacy” taught in the program lays the foundation for more safe and caring classrooms, where children are the “Changers”. They are more competent in understanding their own feelings and the feelings of others (empathy) and are therefore less likely to physically, psychologically and emotionally hurt each other through bullying and other cruelties. In the Roots of Empathy program children learn how to challenge cruelty and injustice. Messages of social inclusion and activities that are consensus building contribute to a culture of caring that changes the tone of the classroom. The Instructor also visits before and after each family visit to prepare and reinforce teachings using a specialized lesson plan for each visit. Research results from national and international evaluations of Roots of Empathy indicate significant reductions in aggression and increases in pro-social behaviour. We participate in the Agri-Aware programme that encourages pupils to grow their own foods, as a way of understanding how basic farming works and to understand the importance and value of fresh and healthy food. In 2012-13 three of our 6th Class pupils were invited to DCU to attend an awards ceremony, having contributed letters to be included in a book in the ‘Dear Grace’ series. One of our pupils won the overall prize for most impressive creative writing as part of the project! Every year we compete in the Maths Week class challenges. 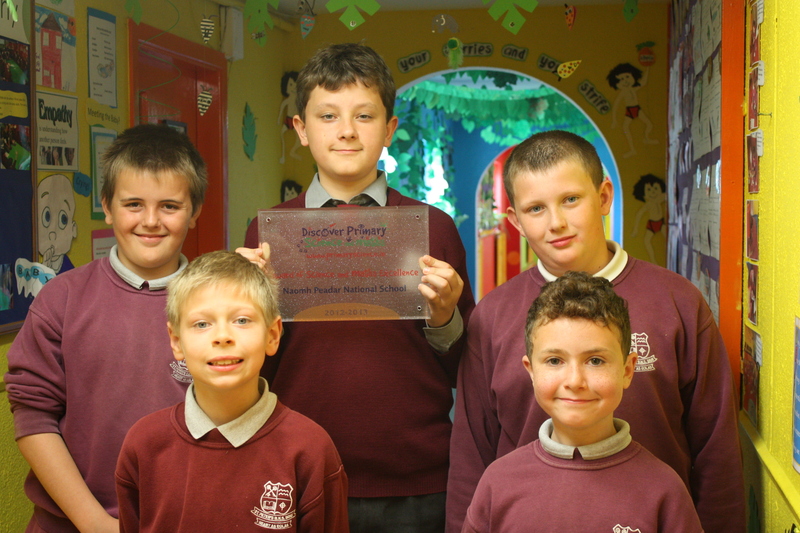 In 2011 our 6th Class won the overall prize for best senior class in the country, having participated in online and offline activities against schools from all over Ireland. 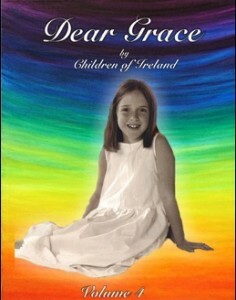 Every year students from St. Peter’s take part in the Bray Lions Club ‘Peace Poster’ competition. 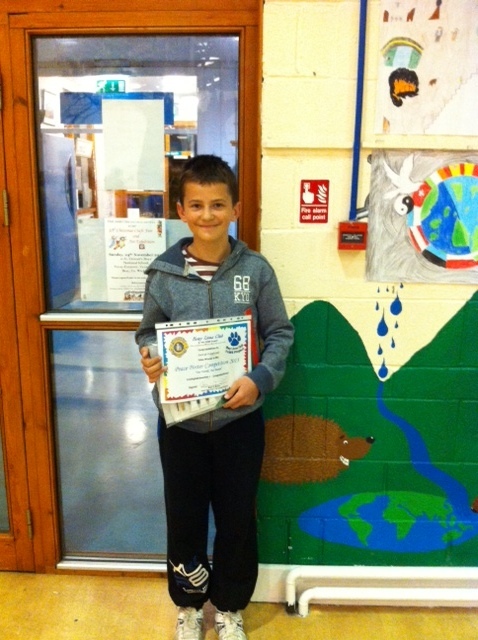 Recently Patryk in 6th Class was one of the overall winners. Every term, St. Peter’s students take part in various Wicklow Cross-Country and Athletics events. We had had good success over the years in all competitions! In February 2014 we found out that we had been shortlisted for the Intel E-Schools award, due to our exceptional use of technology in our school. We’re still waiting to find out who the overall winners will be. This nomination is down to our impressive use of audio-visual and ICT facilities in exploring the curriculum and communicating the activities of our school to the wider world. We were successful in achieving the Creative Schools Award for 2014. We’re sure you have noticed all of the great Stop Motion Animation work the children have completed, and you weren’t alone! The Association for Creativity and Arts in Education who organise the Creative Schools Award thought the work was superb too, and so they awarded us with a ‘Creative School Award’ in June 2014. This is an amazing achievement for St. Peter’s as we are one of only two schools in all of Wicklow to receive this award and only a handful of other schools around the country were successful. Read our full project here and all about the awards day here. Here is Patryk working hard on his Creative Schools Award entry! We have recently applied for our first Green Schools flag award!